Kenny Mancuso shot his childhood buddy Moogey Bues and then jumped bail. Now bounty hunter Stephanie Plum is on the case to track Kenny down. Then someone finished Moogey off, Kenny can't be found, twenty-four coffins are missing, and there's some ex-army heavy artillery roaming the streets. And Joe Morelli - the cop with more than a professional interest in her every move - is tailing Stephanie. With a healthy disregard for the law, and an unhealthy dependence on marshmallow hot chocolate, Stephanie's a match for anyone - even Morelli. That is, until her eccentric grandmother goes AWOL and little pieces of corpses start to disappear . 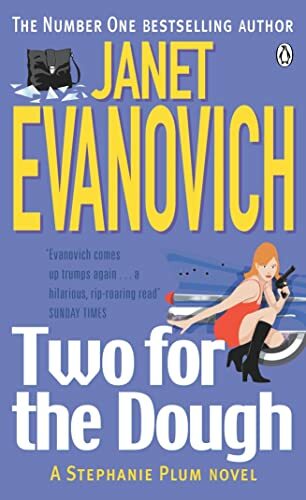 . .
Janet Evanovich lives in New Hampshire. She has won many awards for the Stephanie Plum series, including the CWA John Creasey and the CWA Silver Dagger.